A1 Woodgrain envelopes in a deep brown color called Bubinga. 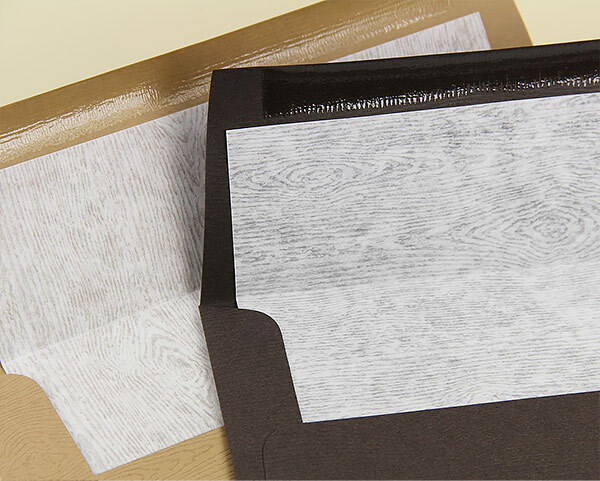 Envelopes have the woodgrain embossing on the outside, inside is a smooth matte finish. 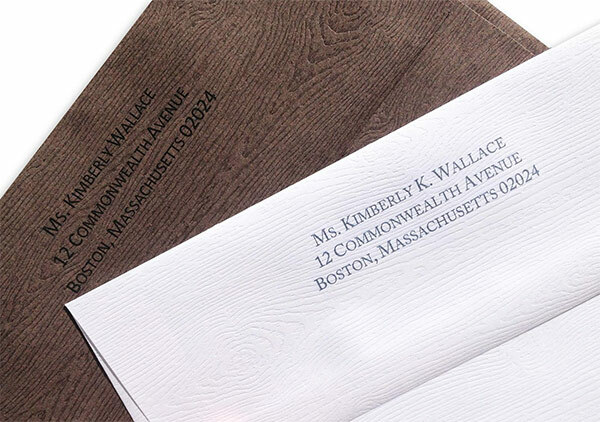 Envelopes match our woodgrain card stocks. This response card envelope measures 3 5/8 x 5 1/8.